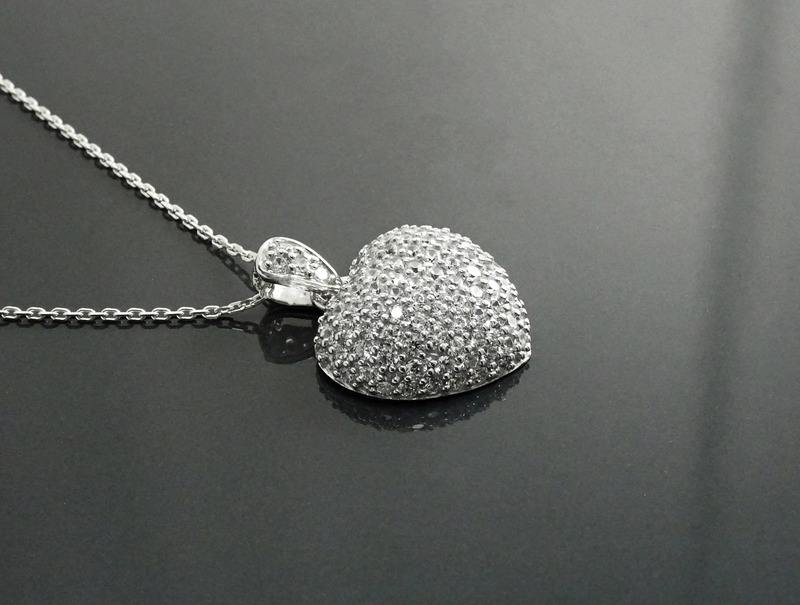 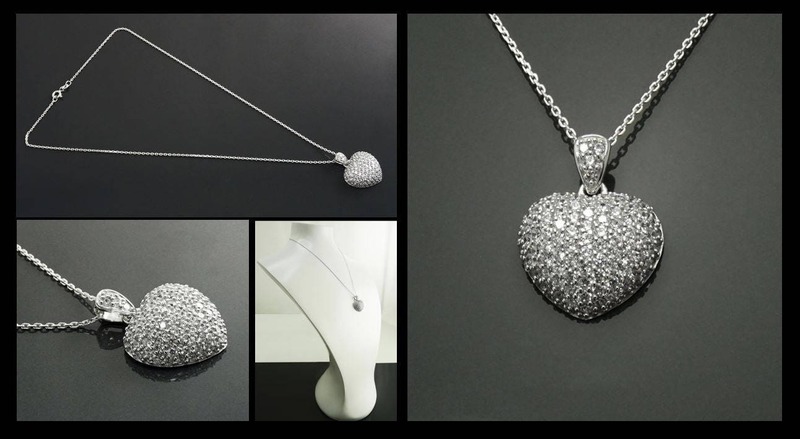 Gorgeous Small Heart Pave Necklace. 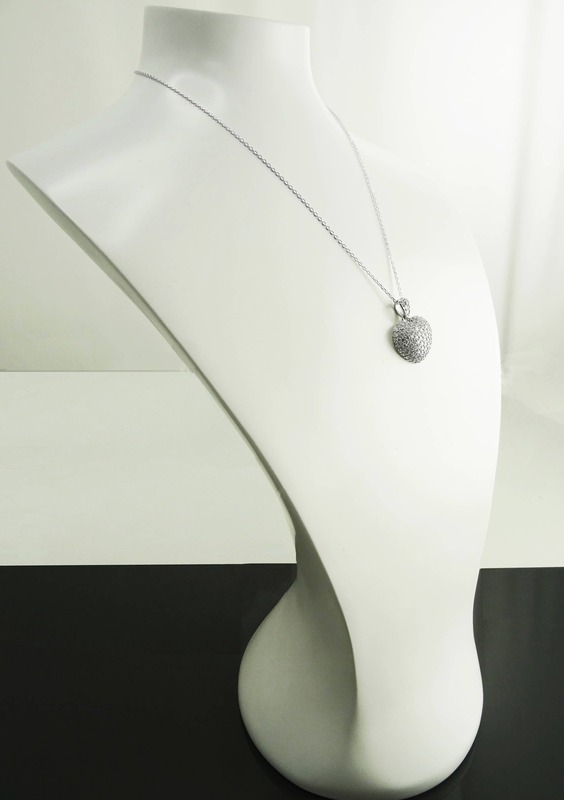 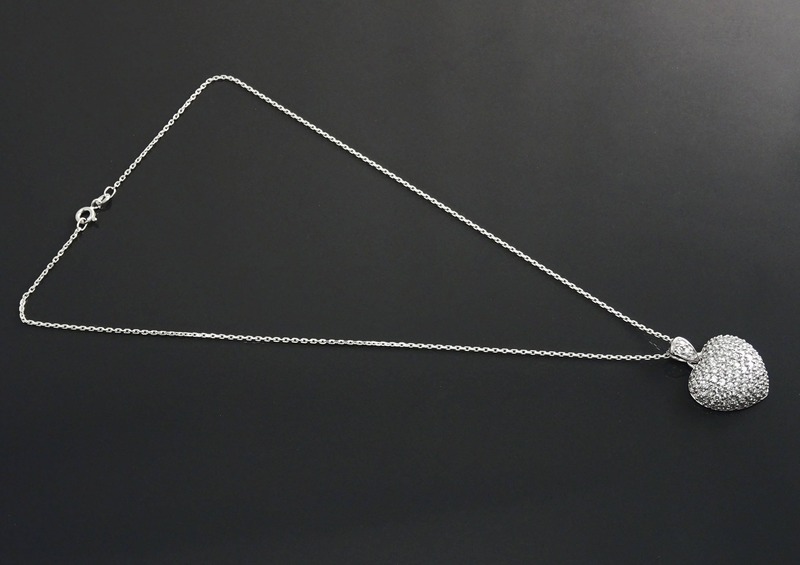 The Pendant features an intricate Paving of Lab Diamonds simulant (CZ) in a Wonderful Clear White Color. 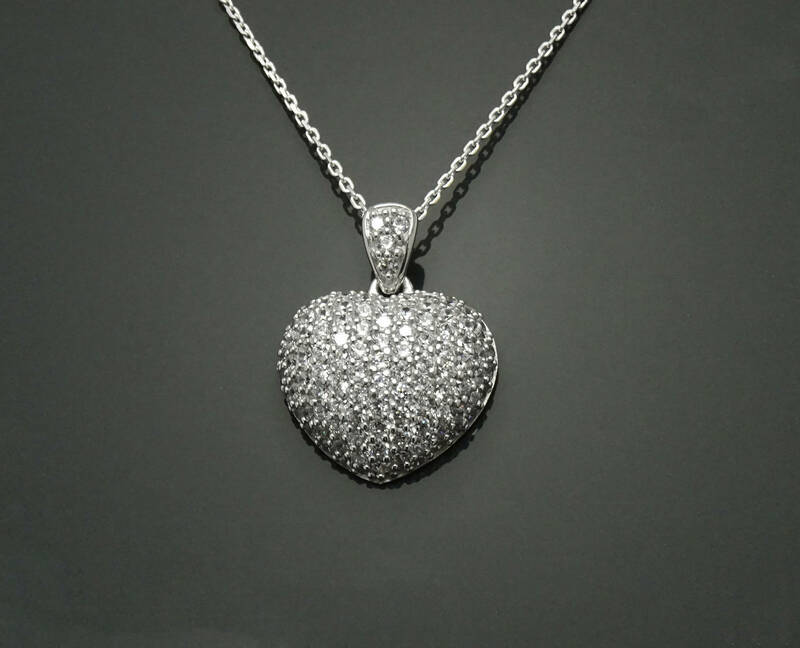 ◆ Average silver weight : 4.1 gr.